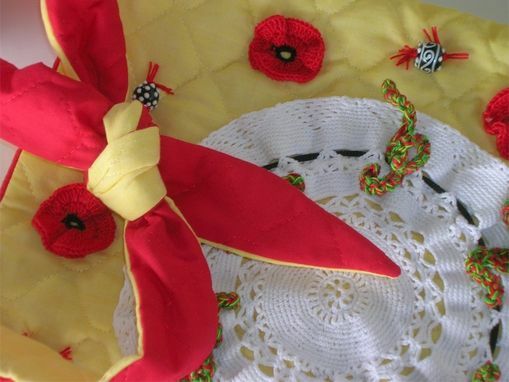 This is a creative crochet project that uses old and new crochet. 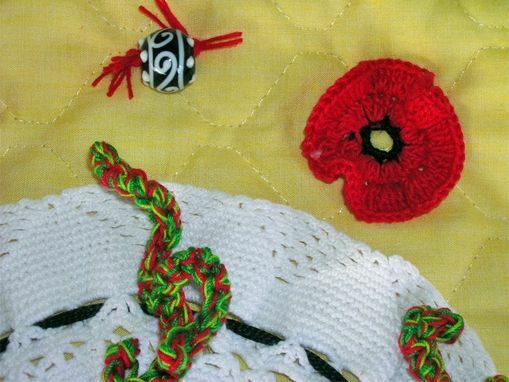 The center white doily is from an antique shop. I made the reversable purse from quilted muslin. I hand dyed the yellow muslin and then crocheted red poppies and greenery to embelish the purse. I purchased white and black glass beads to finish the design. Finally I used a magnetic closure to secure the opening of the purse. This is a one of a kind design. 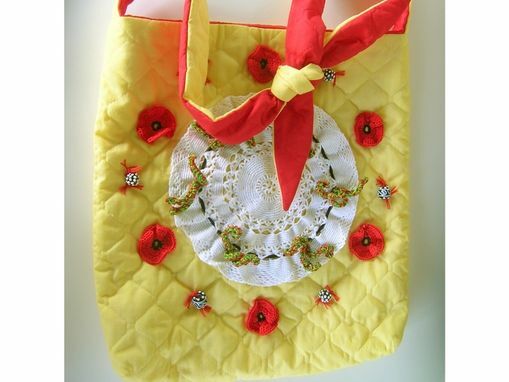 Each upcycled doily creates it's own inspiration and project.